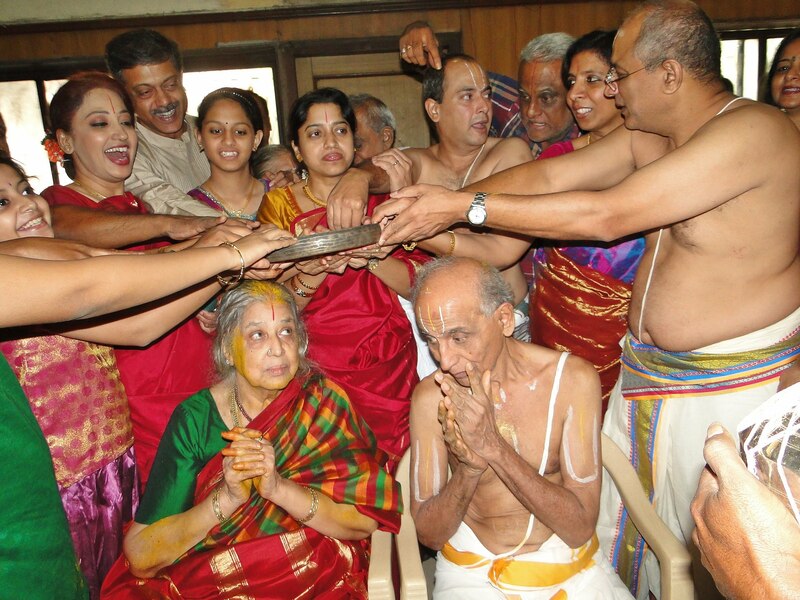 When a man enters 81 years, Sathabhishekam 80th Birthday ceremony is done by the family members and they enjoy it by gathering together and performing the Ayul Shanthi homams, Kalasa abhishekam followed by the exchange of garlands for the couple to get the blessings of the god. This is also known as Ayul Shanthi homam as the function improves the life year of the couple and gives them good strength and health. The married couple is blessed to have crossed 1000 full moons in their lifetime and they start to increase the spirituality in their lives. On this special day all the family members and friends of the married couple get together at a ceremony hall or at a temple or even at their home and witness the ceremony which consists of a family deity pooja followed by 9 homas will take place after which couples exchange the wreath and sometimes in certain communities Mangalam (Thaali) is also tied. When to Perform Sathabhishekam 80th Birthday Pooja? Sathabhishekam can be done on the Star Birthday of the Tamil birth month when 81 year starts or when 80 year gets completed.